The IRS has numerous payment options to help you pay a tax debt. 1. Can I Work Out a Payment Plan for a Tax Lien? 3. Can I Pay Installments on Federal Income Taxes I Owe if I Can't Afford to Pay It All at Once? If you owe a large tax obligation as April's tax-filing deadline approaches, you might feel panic setting in. If you anticipate owing money to the IRS, planning ahead and putting money aside each month is the best way to prepare for a tax debt, but this is easier said than done. Plus, some people are hit with unexpected tax bills. Don't let a large tax bill ruin your mood. 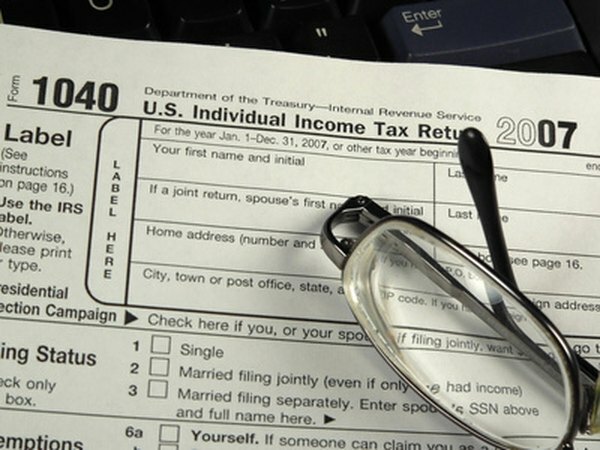 The IRS offers several provisions for paying a large tax bill. If you don't have the cash to pay a large tax bill, you may pay your taxes with a credit card. Three agencies are authorized to process IRS tax payments, as of publication: Official Payments, Link2Gov and WorldPay U.S. Each company features a payment processing website, and you can make payments with a Visa, MasterCard, Discover or American Express. There is a convenience fee for paying your taxes online with a credit card. Fees vary by service provider, but range between 1.89% and 2.35% of your tax bill. When a credit card isn't an option, you can pay your tax bill in installments. This option is available if you've paid taxes in the past and you cannot afford your current tax bill. If these conditions apply and you're an individual who owes less than $10,000 -- or a business that owes less than $25,000 -- the IRS will not turn down your request. There is a $105 fee to set up an installment plan, or $52 if you agree to automated payments. To request an installment plan, attach form 9465 Installment Agreement Request with your tax return. Installment plans allow individuals and businesses to pay their taxes in two and three years, respectively. If you're unable to pay your tax bill in three to five years, you can request an offer in compromise and settle your tax debt for less than you owe. Understand, however, that this provision is not available to everyone. To qualify, your income cannot exceed $100,000 and you tax debt must be less than $50,000. Additionally, the IRS conducts a financial review of your situation to determine whether you qualify. The agency will evaluate your current income, as well as your income potential. To request an offer in compromise, file and send form 656, Offer in Compromise, form 433-A, Collection Information Statement and form 656-A, Income Certification for Offer in Compromise Application Fee and Payment. Include your $150 application fee with form 656-A. The IRS also require a 20 percent upfront payment if you're negotiating a lump-sum settlement, or your first payment if you will make periodic payments. Payments must be included with your request. If you do not have enough cash to pay your tax bill by the deadline, send the IRS what you can and then request an extension to pay. You can call the agency directly to request an extension. In this case, your full balance is due within 120 days of your request. There is no fee to request an extension to pay. Do Penalties Still Accrue From the IRS When There Is a Payment Plan?